In 1993 Toni Morrison was awarded the Nobel Prize for Literature. The Nobel committee described her work as "characterized by visionary force and poetic import [that] gives life to an essential aspect of American reality." Twenty years later, a group of scholars met in Stockholm to commemorate and celebrate Morrison's award, and just as importantly, to critically engage the wealth of scholarship that has sprung up around Morrison's work-both the six novels recognized by the Nobel committee and those works of fiction and criticism published in the two decades afterwards. 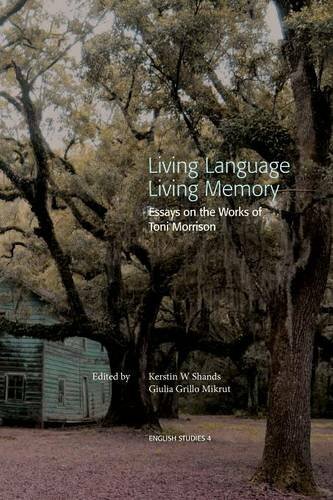 The essays in this collection implicitly and explicitly take up Morrison's clarion call to vivify language. They engage her words by elaborating on their meaning, offering readings of her literary texts that highlight their intertextuality, their proliferating conversations with other texts and contexts, and even other languages. In some, Morrison's words give life to authors no longer with us, in others we are encouraged to resituate her writing in unfamiliar contexts in order to highlight the multiplicity of meanings generated by her work. The essays offer rich testimony to the life-giving properties of Morrison's language and seek to contribute to the ongoing afterlife of her work by adding to the scholarly conversations animated by her extraordinary literary career. Authors: Andrea Sillis, Lynn Penrod, Sangita Rayamajhi, Anna Iatsenko, Giulia Grillo Mikrut, Lucy Buzacott, Hilary Emmett, Tuire Valkeakari, Aoi Mori, Laura Castor & Kerstin W. Shands.